It’s been four months this November 2007 since I arrived to the Rapid Drug Detox Center to get clean. And it’s taken me four months to write this, not because I didn’t want to, but because I couldn’t find the words to express how amazing the experience was. I’m in tears right now writing this because I really feel I have been given a second chance at life and I think I can speak for everyone else that has been a patient of Rapid Drug Detox. I’m a regular 22 year old girl and I have had an amazing life and great family; everything a person could want. I was very athletic in school excelling at sports, especially basketball and moving on to college basketball. That’s when it started; I hurt my back very bad and tore my ACL. I was started on Vicidon, which only helped awhile because I was playing on a herniated L4 L5; my back was shot but that didn’t stop me from playing, as the pain increased so did my tolerance for narcotics I was shortly moved to Percocet 10’s. I was taking about 10 a day. After basketball the pain decreased so I cut back a little, but I didn’t know I was dependent on opiates. I couldn’t sleep at night, I tossed and turned and my legs would go all over the place. I would start sweating and getting really irritable for no reason and snap at people for nothing. This wasn’t me and I didn’t get what was happening? My knee was hurting again so I went to the Doctor and he put me back on Percocet. I started sleeping and feeling normal again. But the problem exploded and I started taking pill after pill after pill. The pain was so bad nothing was helping. I was taking anywhere from 40 to 50 Percocet a day. It was getting to the point where I was getting pills from 4 doctors and it still wasn’t enough. I was bad, I was addicted. I knew a person that sold Oxycontin and methadone and I started buying them daily. It got to the point where my entire day revolved around the pills. It was a rat race waiting all day for the seller to get the pills. Then the agony of the days that they said they would have them and then not get them. The days without the pills seemed like months, it was the worst pain I have ever experienced in my life. It went on like this for 3 years until I finally broke down and realized I wasn’t living my life. I was wasting everything; relationships, money, time and wasn’t living a real life. I was just floating high all the time but I couldn’t kick it. This addiction consumed me until I said this is it, you either get clean or this addiction is going to take me. So I got on the internet searching for rehabs and treatment centers, there were thousands I called a bunch of fancy places in southern California and they were all $15,000 to $20,000 dollars I wanted help bad but I didn’t have that kind of money, also no one really seemed like they cared that much. Until I found rapiddrugdetox.com. I started reading and learned what RDD was and how it worked. I was very interested and it was only $8,500. So I called and it all started with an amazing angel answering the phone the one and only Jeanne. To this day I will never forget that phone call. It brings me to tears now because the moment she started talking to me I knew in my heart I was going to be okay. I have never been so moved by another person in my life. I was going through agonizing withdrawals when I talked to Jeannie but she seemed to calm me and explained that it was going to be okay that she and her amazing team at the Rapid Drug Detox Center were going to get me better and help me start a new life. Words cannot express or describe the team of angels that all helped me. I was so moved by all of them. For anyone reading this please consider starting your end to addiction with Rapid Drug Detox. You can break the addiction. You are not a bad person because you are an addict. Addiction is a horrible thing, is takes over our mind, body and soul. It’s not just physical, it’s also mental and that’s a proven fact! Our brain receptors are loaded with the drug and every time one tries to stop… it causes use to want or crave it. In my opinion you can’t get fully clean without this procedure. I went through this experience with 3 amazing people that had all struggled for years. One was addicted for 20 years of his life. One had been to rehab 5 times and also lost his best friend to a methadone overdose but still couldn’t get clean until he visited rapid drug detox. I am so proud of each person I met at this center. I am so proud of each person that had been so brave and had the strength to take the tough journey to get there life straight. I am not the most religious person on earth, I admit it, I don’t go to church but I have an amazing faith in God. God is here for us addicts too, he isn’t looking down on us because of our sin. He is waiting for us to ask him for help to make the right decision to get clean for those who are not ready he waits. God didn’t put us in the situation we are in. We make our own choices in life whether we became addicts by mistake, or because of a terrible past and we started to hide the pain. It’s on us, God cannot control everything thing that happens in our life. Everything happens for reason weather we believe it or not. What I’m saying is our past is a part of who we are as human beings. We may not always have the best, but it is a chapter in our lives that cannot be erased. We can close the chapter and never open it again, but we cannot erase it. I believe that everything in life happens for a reason. People change so we can learn to let go, things go wrong so we can appreciate them when they’re right. And sometimes good things fall apart so better things can fall together. To the team at Rapid Drug Detox… you are amazing; you are all angels and deserve everything that’s good in life. I can honestly say of all the lives you have saved and the hope you have spread, you will always be in the thoughts and prayers of all you have helped and have affected. You have left imprints on the hearts of all of your patients that will never go away. A personal note Jeanne you are a true soul and I really think you are a special angel sent from god for each person you help like I said I can’t find the words to thank you for all you have done for me you are so unselfish, you truly put your patients #1 before yourself . You will always hold a special place in the hearts of all of us that have been privileged to know you. Please to anyone reading this there is hope, you’re just a phone call away from getting your life back #1-888-825-1020 if anyone would like to talk to me ask Jeannie for Chelsea and I would gladly tell you more about my experience. 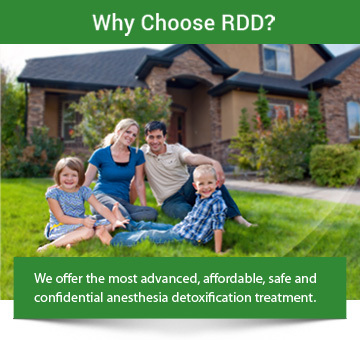 Don’t be scared, you are in good hands and rapid drug detox team is there to help us get clean!